Maine Lakes & Mountain Inns – Another great reason to visit Maine. Lakes & Mountains Maine has a fabulous selection of Inns, and Bed and Breakfast Inns to accommodate every budget and lifestyle. 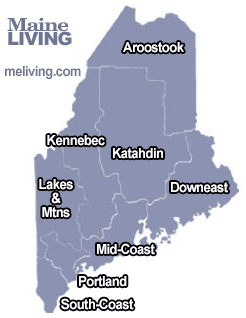 The Maine Lakes & Mountains region is where you’ll find Sunday River Ski Area, Naples and Maine’s famous Sebago Lake. Please share your Maine Inn comments. Thanks for mentioning to the innkeeper(s) you found them online in meliving.com – Maine’s Internet Magazine. Browse all of our suggested Maine Inns below. To feature your Maine Bed & Breakfast Inn, contact us. Enjoy quaint, romantic & secluded accommodations centrally located and within walking distance to the causeway, restaurants, recreation areas and shops. With 30 lakes in the area, enjoy a day of fishing, boating or swimming. Enjoy the many quaint villages nearby; Naples, Fryeburg, Bridgton & Sebago Lake.